Fish sauce varies in its saltiness from brand to brand. So it’s a good idea to prepare the soup with the modest amount specified in this recipe, and then at serving time, pass around the fish sauce so people can season their portions with a touch more if they wish. Finely grate 1 tsp. of zest from the lemon and put in a small dish. Add the cilantro and ginger, and mix together. 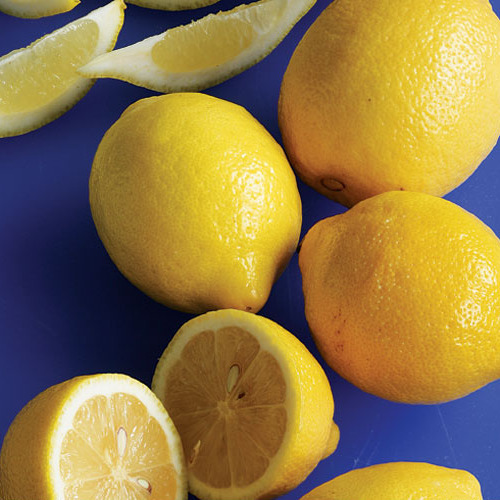 Cut the zested lemon in half and squeeze it to obtain 3 Tbs. of juice. Thinly slice two of the chile halves crosswise. In a large saucepan, bring the broth to a boil over medium-high heat. Add the lemon juice, noodles, fish sauce, and the 2 remaining chile halves to the boiling stock. Reduce the heat, cover, and simmer the soup until the noodles are almost cooked, about 3 min. Remove the chile halves. Stir in the chicken and chile slices and return to a boil. Remove the pan from the heat, making sure the chicken slices are just cooked through. Taste and add a touch more fish sauce, if you like. 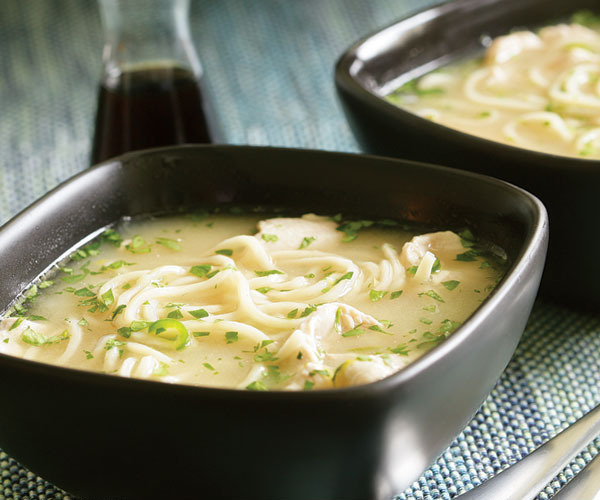 Divide the soup evenly among four serving bowls. Divide the cilantro mixture among the bowls, stir, and serve. One of those, can't believe I just made that! Used own Chinese recipe for the chicken stock, and added a little chile garlic paste at the end for finish. Next time going to try rice noodles! Quick and delicious. So easy a carpenter can do it!